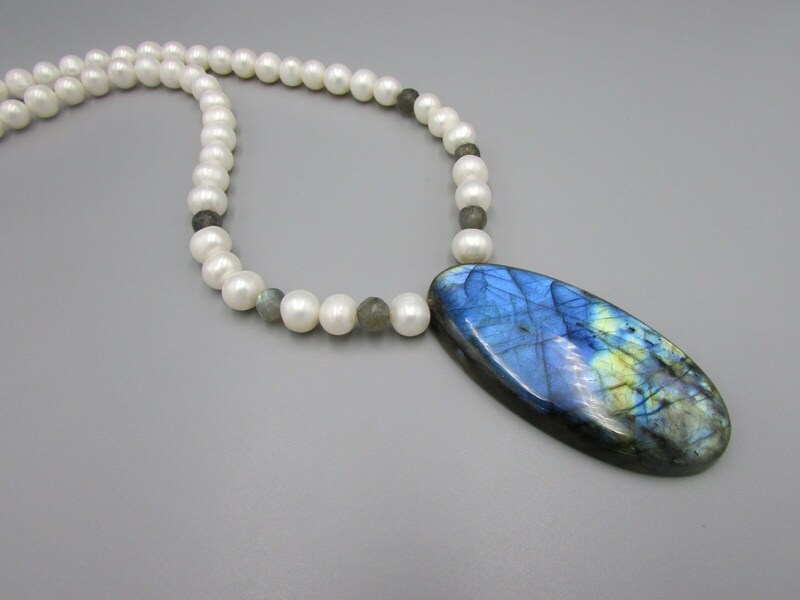 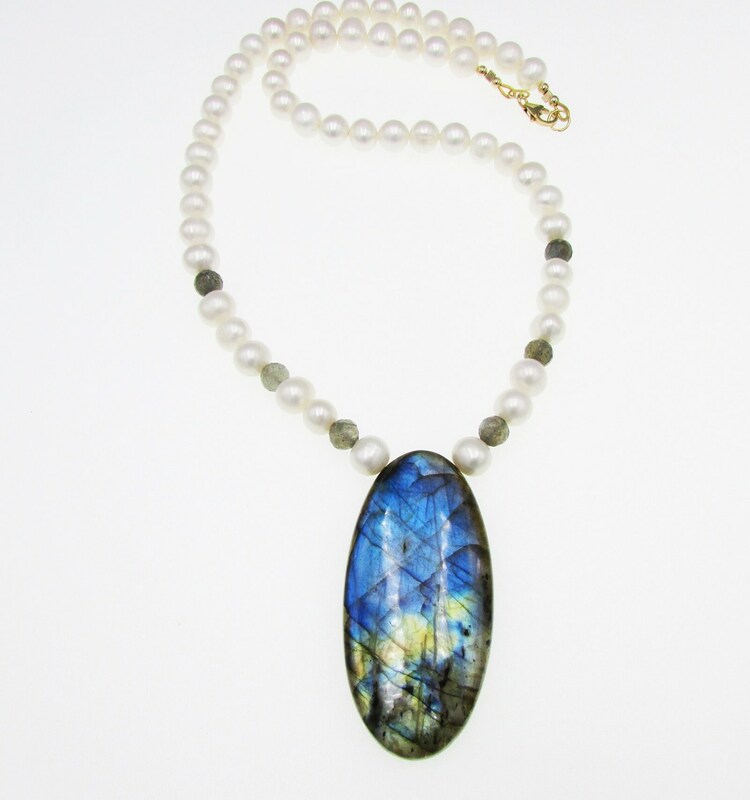 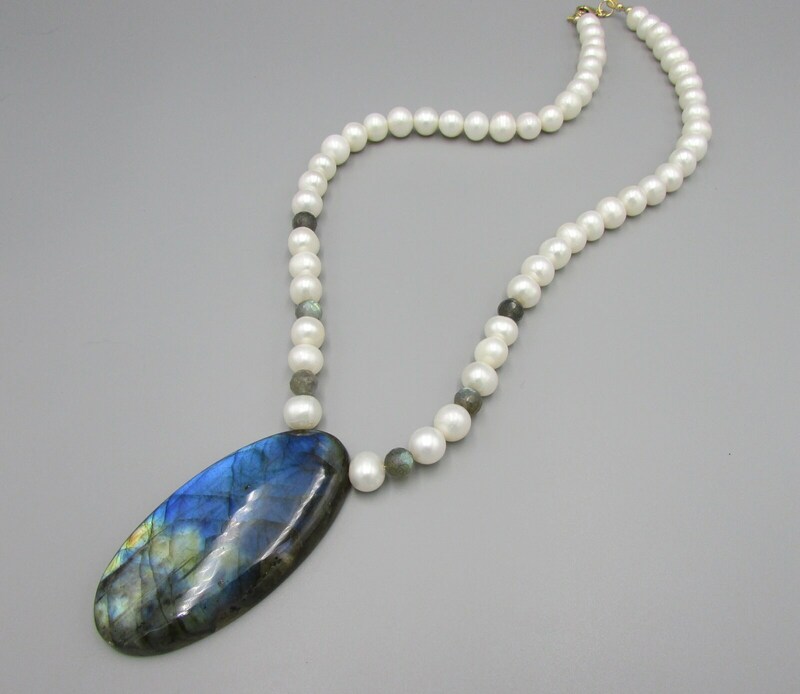 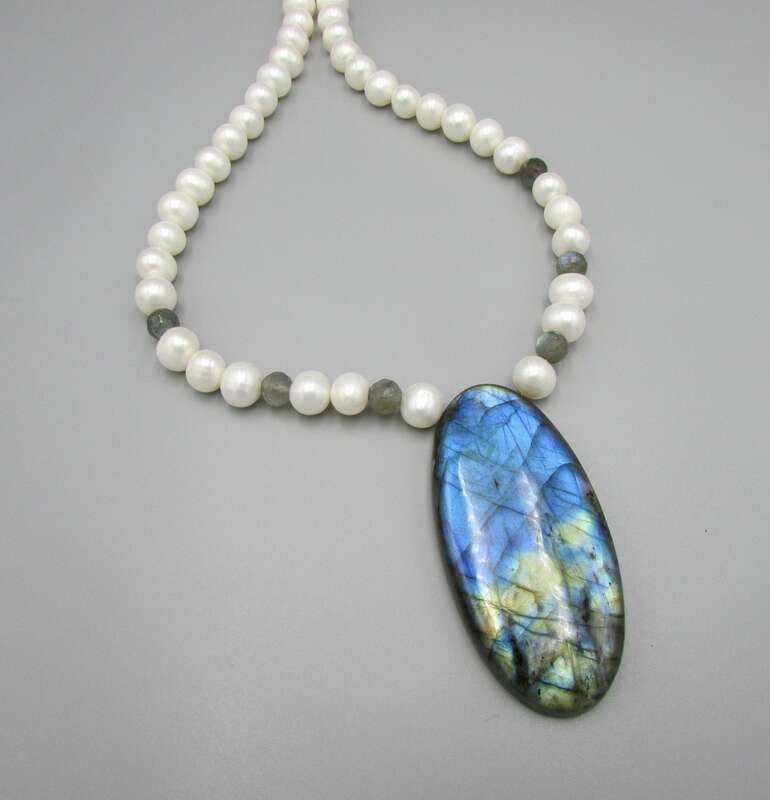 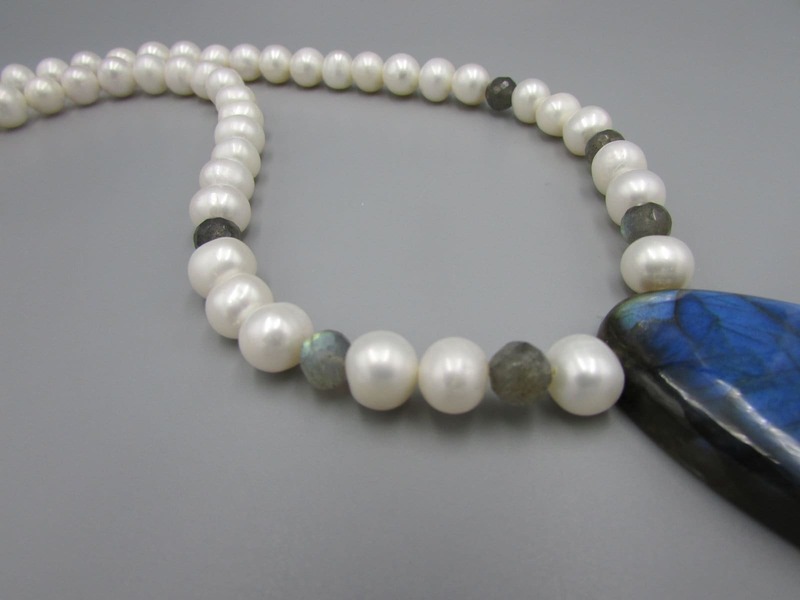 This gorgeous bold Blue Flash Labradorite pendant with 8mm potato freshwater pearls is striking. 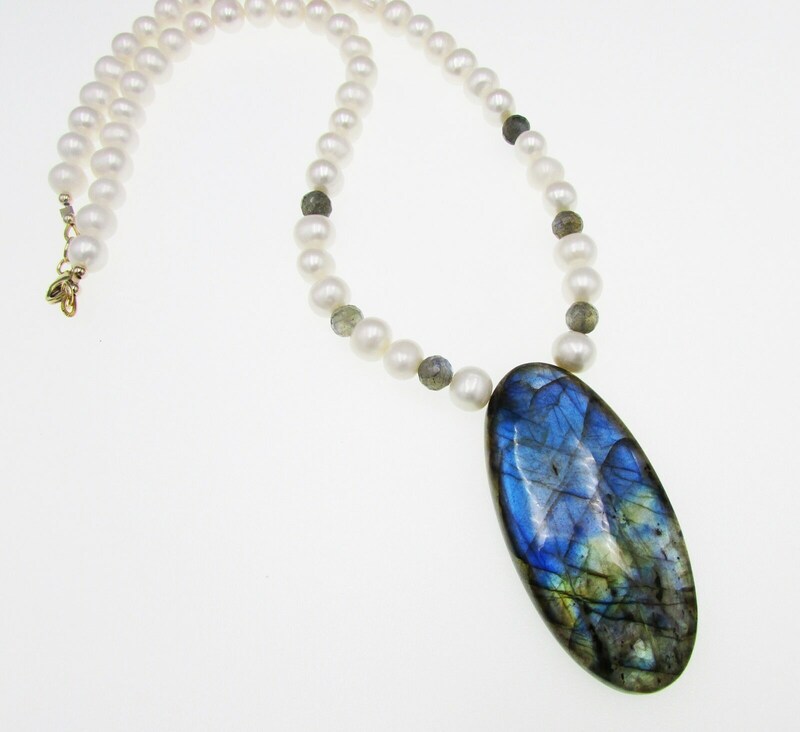 I've added 8mm faceted labradorite round beads to the pearls for a classy and unique design. 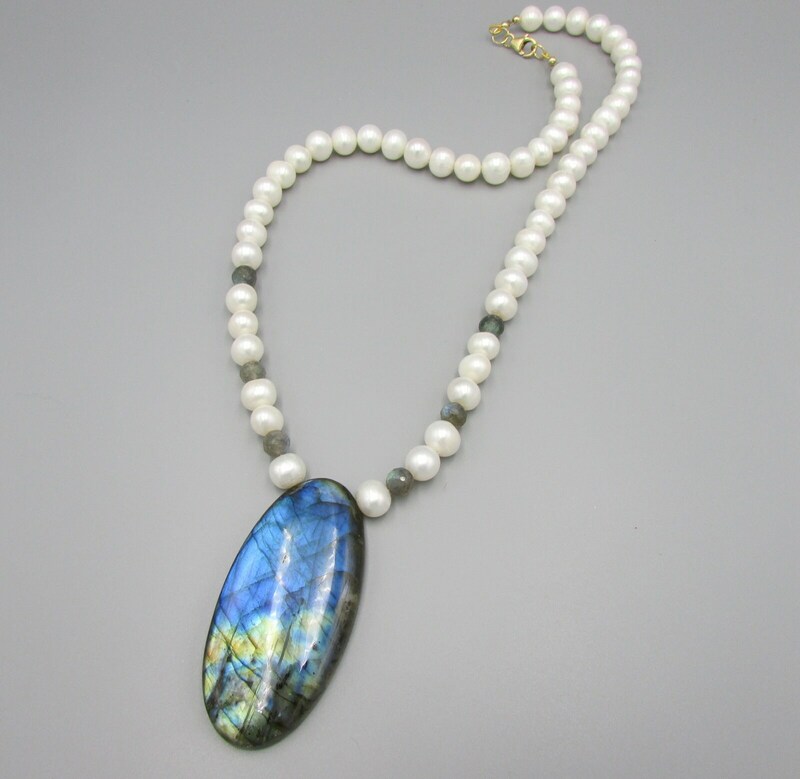 The pearls have a wonderful luster and shine. 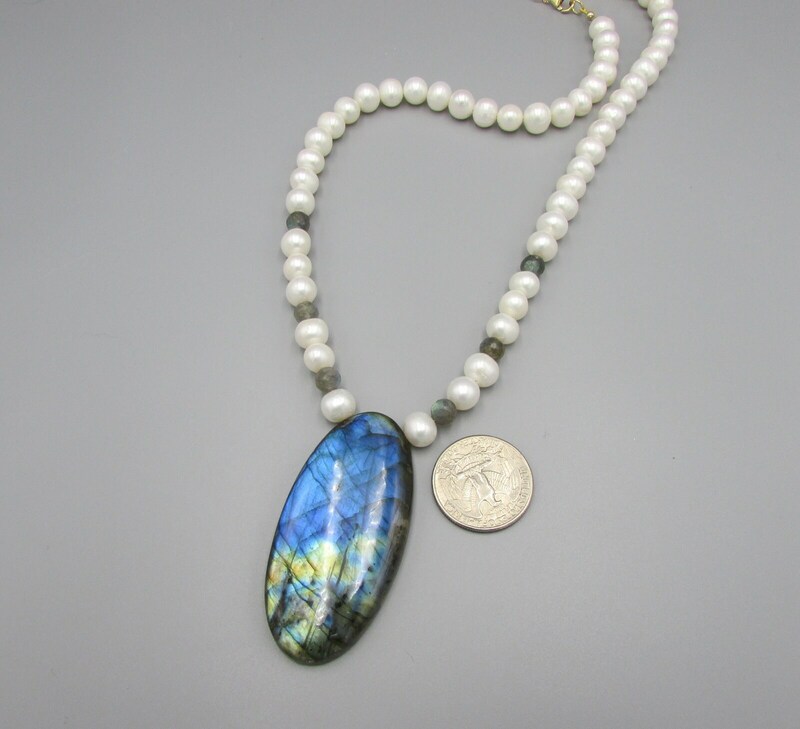 I finished the necklace with a 14kt gold filled lobster clasp and 14kt gold filled findings.